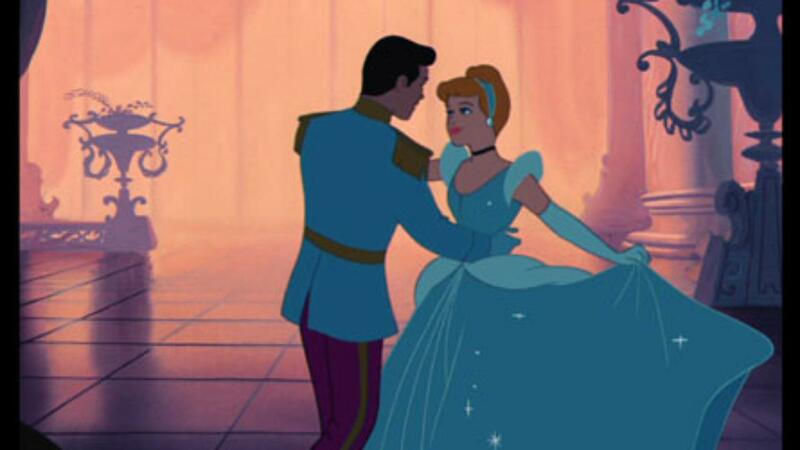 In this classic 1950 Disney film, Cinderella is the orphaned daughter of a widower. 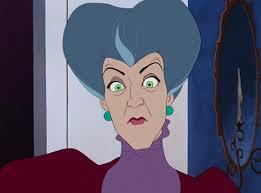 The widower had remarried the Lady Tremaine, but Lady Tremaine vastly favors her two daughters over Cinderella. 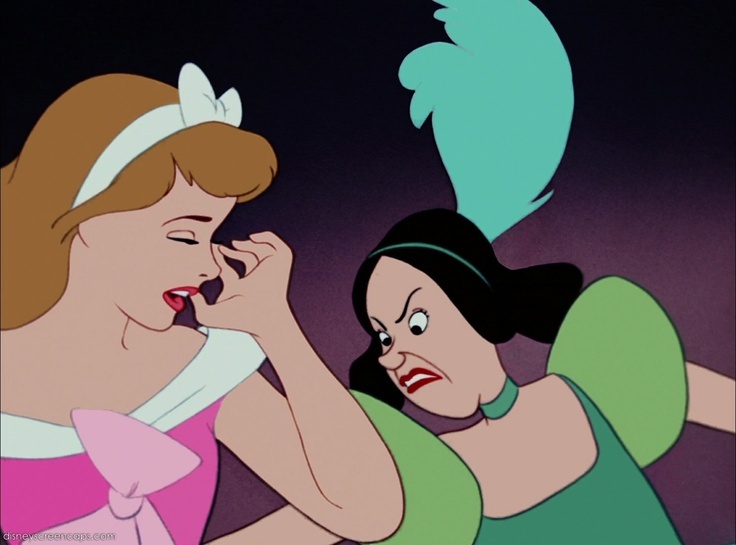 With the widower deceased, Lady Treamine and her daughters treat Cinderella like a servant. The drudgery of daily life is broken by an invitation from the palace – hoping to find a bride for the Prince, the King has required every eligible maiden to attend a ball. Although Cinderella’s stepmother tries to prevent her from attending, with a little help from her Fairy Godmother, she is able to go. The Prince falls for her, but she runs away, not wanting him to see her without her magical wardrobe. The King sends out a search party to find the woman who stole the Prince’s heart, but Lady Tremaine really doesn’t want Cinderella to be happy. Cinderella has experienced the loss of both of her parents, and is being cared for by someone else. She’s also being abused by her caretaker, who vastly prefers her biological children to Cinderella. 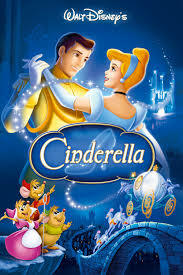 Cinderella takes a young mouse into her care, gives him a new name, teaches him her rules, and dresses him. In spite of much adversity, Cinderella remains hopeful, kind, and positive. Many foster kids do the same in spite of experiencing abuse. I have been impressed at how resilient kids can be. While there is an element of hope and a promise that things will get better (and this is a beloved classic), there’s not really substance to the hope. More on that in a second. This film, made in the 1950’s, highlights old stereotypes of cruel and negligent step-, foster, and adoptive parents. Cinderella only finds happiness in escaping. In Cinderella’s world, only magic makes things better. 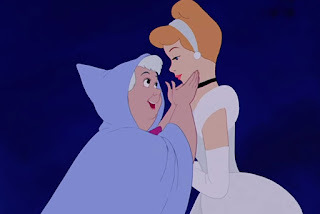 One of Cinderella’s superstitions says, “If you tell a wish, it won’t come true.” Another is that if you keep on (silently) believing, you’ll get your wish. It’d be better for kids to feel free to share what’s on their minds. It’s empowering to realize that your words can change your situation sometimes, and valuable to learn when something you wish for isn’t readily possible. 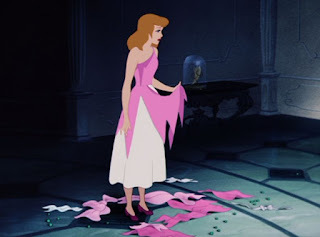 In one scene, Cinderella’s stepsisters rip her clothes off of her. I could imagine this being a triggering scene to children who have been sexually abused. The Prince’s father is quick to rage, and tries to decapitate his closest servant for a minor offense – we see him take several (missed) swings with a sword. Kids learn from stories. The messages we absorb as kids often become part of our narratives, whether we realize it or not. Although Cinderella is a beloved, timeless classic it could convey some unhelpful thoughts about how things change, and it does show an unfortunate stereotype of cruel non-biological parents. Some newer Disney films might be healthier and more enjoyable for kids who’ve been adopted or who have been in foster care. I feel kind of bad saying it, given how many people love this one, but it's probably a marginal choice at best, and might even be one to skip until your kids are old enough to evaluate the film's presuppositions. Why were Cinderella’s stepmother and stepsisters so mean to her? What are some other ways her life could have gotten better?